Review the FAQ to see if that page answers your question. Read through the "Getting Started Guide". WINKS Tutorials are also available that describe how to perform common analyses. These items answer most questions. If your question is not answered in these documents, initiate a support ticket by clicking on the Request Support link below. Download the WINKS SDA 7 Manual This online manual allows you to see the most recent examples and procedures in WINKS. WINKS TUTORIALS (how to perform and interpret analyses) These tutorials are a valuable asset in learning to use statistical procedures -- read over them to understand how to perform and interpret statistical tests. For fastest technical support, please first read the FAQ for answers to the most common questions. Or Click on the Request Support link below. Request support - IF you question was not answered on the FAQ page, initiate a support case for your question here. Important information for Windows Vista users: In Windows Vista, some programs need to run as administrator in order to function properly. When you run WINKS, if you get an error message (usually Error 75) do this: Right click on the WINKS icon on your desktop, click the Advanced button on the Shortcut page to get to the Advanced Properties dialog. You'll see a dialog with a checkbox for 'Run as administrator'. Check this box. WINKS will now run normally. For more detailed information click here. 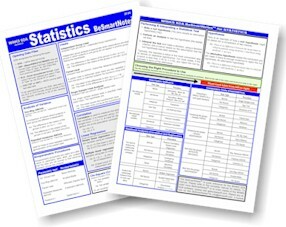 Also, get the WINKS SDA version 7 laminated 8.5 x 11" 3-hole punched "BeSmartNotes" notes -- very helpful! How to contact TexaSoft for support.